Monica Denise Arnold (born October 24, 1980), professionally known as Monica, is an American R&B singer, songwriter, and occasional actress. Born and raised in Atlanta, Georgia, Arnold was a member of Charles Thompson and the Majestics, a traveling 12-piece gospel choir prior to signing a solo recording contract with Arista Records in 1995. In 1991, at the age of eleven, Monica was discovered by music producer Dallas Austin at the Center Stage auditorium in Atlanta performing Whitney Houston 1986's Greatest Love of All. Jermaine Dupri, David Foster and Austin consulted on the album The Boy Is Mine, which was released later that year and eventually became Monica's biggest-selling album, becoming certified triple platinum by the RIAA for more than three million store-shipped copies. It yielded another two U.S. number-one hits with The First Night and Angel Of Mine, a cover of Eternal's 1997 single, as well as a remake of Richard Marx' Right Here Waiting. Rolling Stone Magazine proclaimed it as "closer to soul's source... hearking back past hip-hop songbirds like Mary J. Blige and adult-contemporary sirens like Toni Braxton," while Allmusic called the album an "irresistible sounding [and] immaculately crafted musical backdrop [...] as good as mainstream urban R&B gets in 1998." After the Japan-wide release of All Eyez on Me Monica was asked to substantially reconstruct the record with a host of new producers, and as a result the singer re-entered recording studios to start work with songwriters Kanye West, Jazze Pha, Andre "mrDEYO" Deyo, Bam & Ryan and Dupri-replacing executive producer Missy Elliott. Finally released in June 2003, After The Storm debuted at number one on Billboard's Top R&B/Hip-Hop albums chart, and on top of the official Billboard 200, with sales of 186,000 copies emerging as Monica's first and only number-one album to date. It eventually received a gold certification, and has sold over one million copies domestically. Media reception of the CD was generally enthusiastic, with the Allmusic saying the album "has all the assuredness and smart developments that should keep Monica's younger longtime followers behind her ? all the while holding the ability to appeal to a wider spectrum of R&B and hip-hop fans." The album's lead single, Elliott-penned So Gone, was one of Monica's biggest commercial successes in years, becoming her first top ten single since 1999's Angel Of Mine. In addition, it reached the top position of the Billboard R&B/Hip-Hop Tracks and Hot Dance Club Play charts. Subsequently, After The Storm spawned another three singles, with final single U Should've Known Better reaching number nineteen on the Billboard Hot 100 chart. 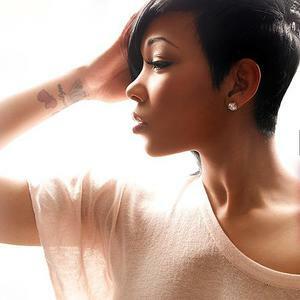 The New Life (Intro) Songfacts reports that New Life was Monica's debut release with RCA, following the disbandment of her former label, J Records in October 2011. The album was dropped on April 10, 2012 in the US. She explained the meaning of its title on Twitter: "A good word goes a long way. Life is hard enough. Me and my followers believe in God, love, strength, family, unity and growth [...] Don't be afraid of new things, new people, new opportunities or new love. It just may give you a New Life."